At the moment we have put a hold on taking on volunteers as Oinofyta Camp has closed down. We are in the process of finding a new location. Please contact us if you want us to update you when we have positions available! We are always looking and open to receive fully qualified teachers from around the world. Retired teachers or teachers who left the profession are also very much welcome to apply. We kindly ask for a 4 weeks minimum commitment, with ideally an overlapping period of 3-5 days between the incoming and outgoing teachers. This is so that both teacher and children so they experience each other fully. Teaching assistants who like working with children of all ages and who have a good level of education are welcome to apply. A minimum of two weeks commitment is required. If you are a school and wish your classroom or your establishment to get involved and help our activities please get in touch. Check out 109 World for their experience at ArmandoAid. 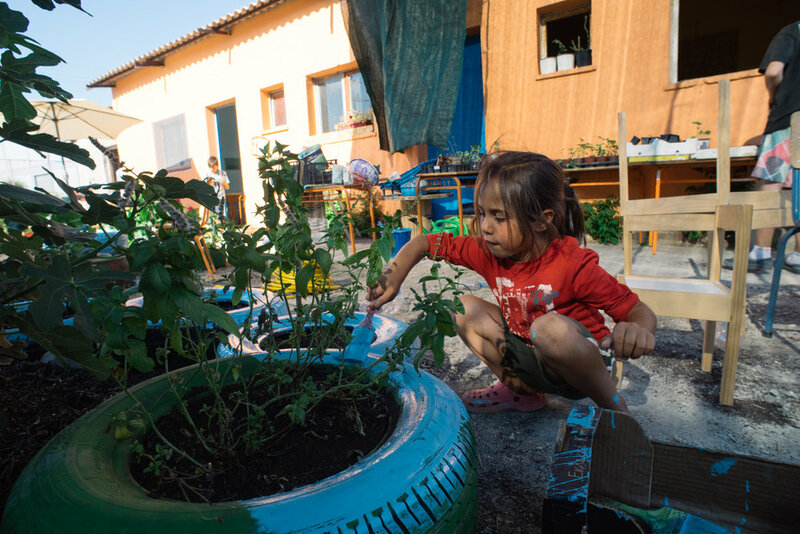 This is a position for an experienced gardener, preferably a professional to take care of the vegetable garden and support the teachers and educate the children how to grow vegetables and fruits. A minimum commitment of 4 weeks is required. We are always happy to welcome photographers who may want to come and create a photography project based on the school. Check out the Reef team visiting the school. ArmandoAid requires a London-based project coordinator to assist with the setup and running of the school and fund-raising activities. A minimum commitment of 20 hours a week is required. Occasional travel to Greece may be required but is not compulsory.